U.S. 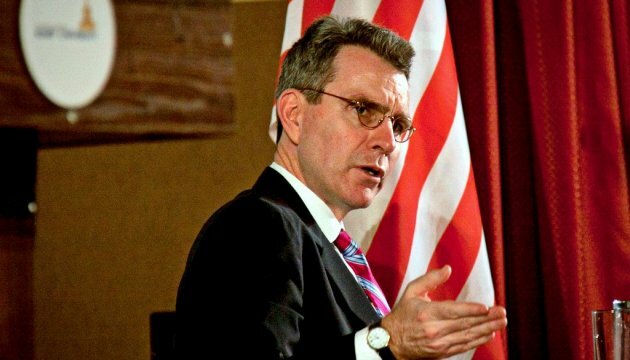 Ambassador to Ukraine Geoffrey R. Pyatt states he will leave Ukraine in several weeks, but nevertheless he will follow the development of situation in this country. He said this at a solemn ceremony of presenting certificates to graduates from the Internship Program in the Verkhovna Rada, an Ukrinform correspondent reports. “In several weeks I’ll leave Ukraine and will delegate my responsibilities to Ambassador Marie Yovanovitch,” he said. As reported, the U.S. Senate has confirmed Marie Yovanovitch as a new U.S. Ambassador to Ukraine.